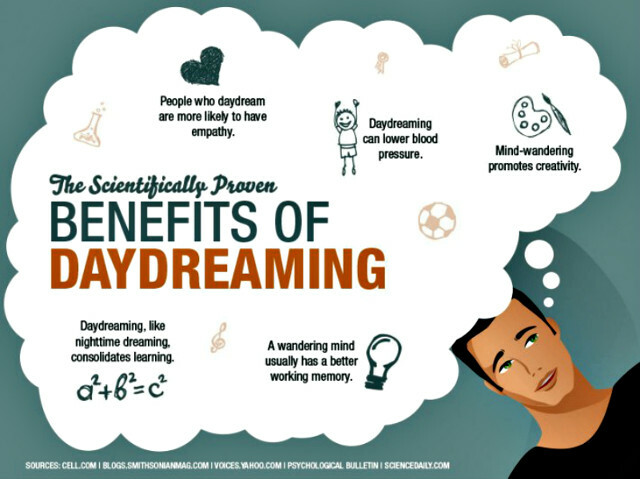 We spend an approximate 1/3 to 1/2 of our lives in daydreams, that’s why we’re awesome! Teachers, bosses, parents and people generally vying for attention find it irritating when people daydream or “lose focus”. 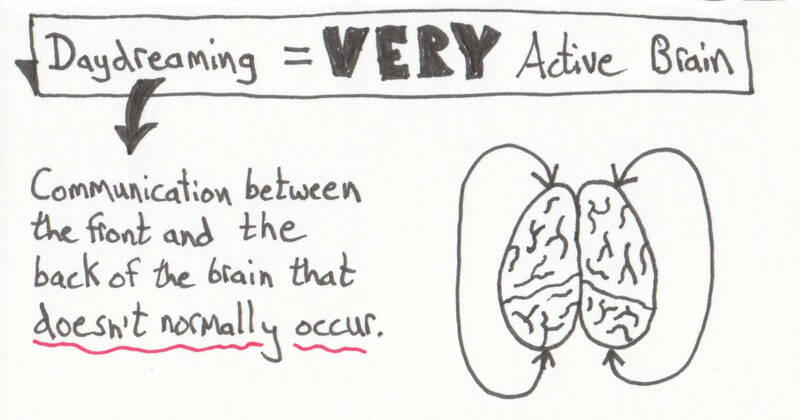 But the reality is that the brain is not wired to be focused on a straight line all the time. In fact, science is now finding that daydreaming is a serious way to level up human creativity and imagination which provide a host of other benefits as a bonus. Here are 5 examples on how daydreams help level you up. Research suggests that there may be a link between memory, imagination and our ability to be empathetic. Imagining a scenario or picturing something that we haven’t experienced ourselves, may make it easier to understand what someone else is going through. According to the American Psychological Association, imagining something from a personal perspective can be an effective way to recall specific information on command. As a result,imagination could help in memory rehabilitation for those who may have suffered from impairments due to a brain injury. Your non-directed thinking might lead you to concrete, creative outcomes. Daydreaming leads to intangible forms of creativity. It is useful for your work life. When thinking about our dreams, or replaying happy memories in our minds, It’s quite obvious that we would as a result start feeling happier and more positive. And when we are feeling happy, everyone around us feels it too!